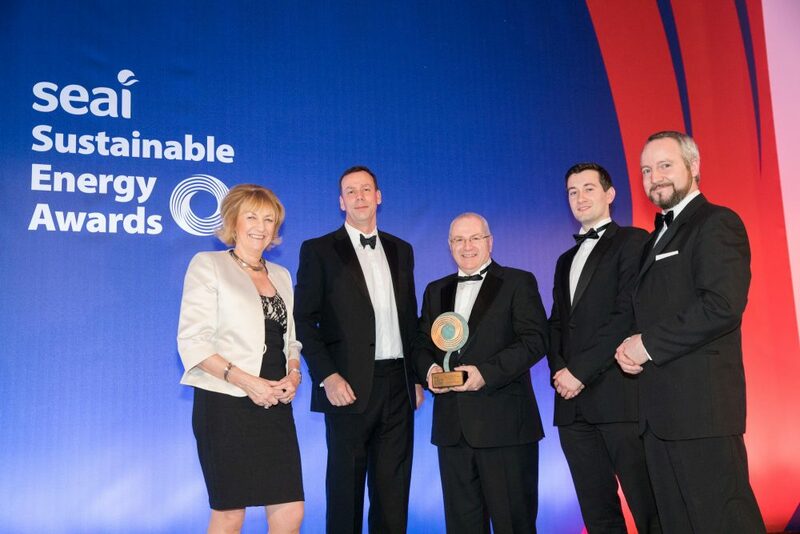 In recognition of its commitment to environmental sustainability, Dairygold has won a top award for energy management by the Sustainable Energy Authority of Ireland (SEAI). The SEAI awards celebrate excellence in energy management in businesses, communities and public sector organisations. At an awards ceremony recently held in Dublin, Dairygold was awarded top prize in the Large Business Energy Management Category for its energy management programme that’s founded on the international energy management standard, ISO50001. Two of Dairygold’s processing sites in Mitchelstown have received ISO50001 certification, a standard used to progress energy management and to identify energy saving projects for investment. Through this Dairygold identified numerous projects for investment which include the installation of biogas boiler, the largest of its kind in Europe. While improving environmental efficiency is a key priority, the majority of these projects have also delivered a return on investment shortly after implementation with annual energy savings of 7.67 GW and €300,000 in cost savings achieved to date.